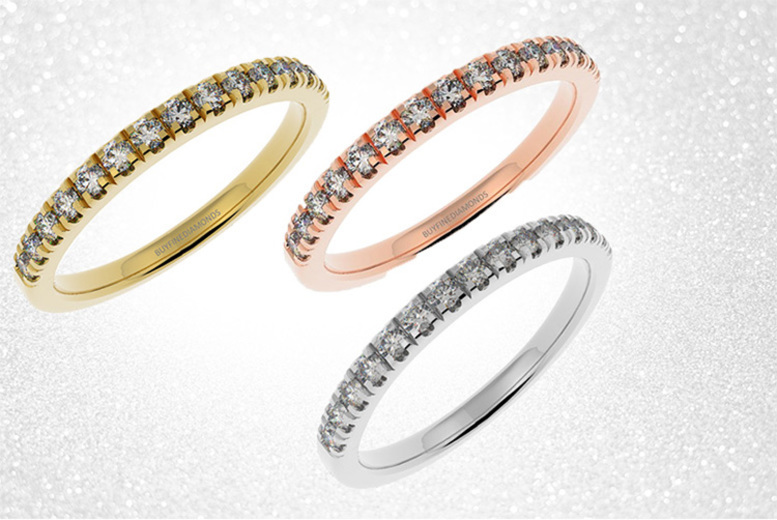 Get a round diamond half set eternity ring! With 0.25 CT micro pave set diamonds. Coming in a choice of yellow gold, rose gold or silver. Choose between ring sizes I, J, K, L, M, N, O, P, Q, R and S.
Add a touch of sparkle to your hands!